In its first report on suicide prevention, the WHO call for global action to reduce the 800,000 deaths by suicide every year, three-quarters of them in low- and middle-income countries. The UN health agency says suicide is preventable, and governments can tackle it effectively by getting all their sectors working together under a national strategy. Suicide is a global problem says the report. It takes place at any age, and although globally the highest rates are among the elderly aged 70 and over, it is the second leading cause of death in younger people aged 15 to 29. The report says it is a myth that talking about suicide is likely to encourage it. Evidence from several countries suggests limiting access to the means that people use to commit suicide can stop them doing so. Some of the most common means include ingesting pesticide poisons, hanging and use of firearms. And another important way to reduce deaths by suicide, says the WHO report, is having a national coordinated action plan, which currently only 28 countries have adopted. Effective suicide prevention requires that government departments work together and develop a comprehensive coordinated response. “High-level commitment is needed not just within the health sector, but also within education, employment, social welfare and judicial departments,” says WHO. The report also urges the media to be responsible about reporting suicides. They should not use language that sensationalizes suicide, nor give details of the means that people have used. A study reported in Lancet Psychiatry earlier in 2014, found that in the US, high- profile coverage of suicides in the newspapers is linked to copycat suicides among teenagers. Another myth about suicide, says the report, is that talking about suicide is likely to encourage it. But in fact the opposite is true: it is talking about suicide that helps, but given the widespread stigma surrounding it, many people who are thinking about it don’t know who to turn to. When caring for people who have attempted suicide or are having suicidal thoughts, it is important that health workers follow up by phone and home visits and ensure community support is provided. People who have attempted suicide are at the greatest risk of trying again. Across the world, more men die by suicide than women. In wealthy nations, statistics show three times as many men commit suicide as women, with men age 50 and over being the most vulnerable group. However, among women aged 70, death by suicide is twice as common as among those aged 15- 29. The less wealthy nations have higher rates of suicide among young adults and elderly women than wealthy nations. In Africa, the estimated suicide rate was close to the global average of 11.4 per 100,000 in 2012. Suicide by pesticide poisoning appears to be the most common method used. Between 2000 and 2012, suicide rates appeared to have risen by 38% in Africa. They are particularly high among the elderly, but there is also a peak among the young. In the Americas, suicide rates appear to be generally lower than other regions. Rates peak among the young, remain at the same level for other age groups, then rise again among elderly men. In high-income countries half of suicides are by hanging, with firearms next, accounting for 18% of suicides. The high rate of suicide by firearms in the Americas (46% of suicides) is the reason firearms comes in second place globally for high-income countries – outside of the Americas firearms accounts for only 4.5% of suicides in high-income countries. In the Eastern Mediterranean, where estimated suicide rates are generally lower, there is however evidence that suicide rates are relatively high in the 15-29 age group, and in people aged 60 and over. In Europe, the suicide rate is above the global average. The rates peak among the young, middle-aged men, and the elderly. The big concern for this region is that suicide is the main cause of death among 15- to 29-year-olds in many countries. On the plus side, Europe has many countries already implementing suicide prevention schemes. South-East Asia has the highest suicide rate, with most suicides in the world occurring in this region. This peaks among the young and the elderly. India accounts for the highest estimated number of suicides overall in 2012. Pesticide ingestion is of particular concern in rural agricultural areas in the South-East Asia region. The Western Pacific has a high proportion of the suicides in the world: the total suicide deaths in the Western Pacific Region is approximately 180,000. 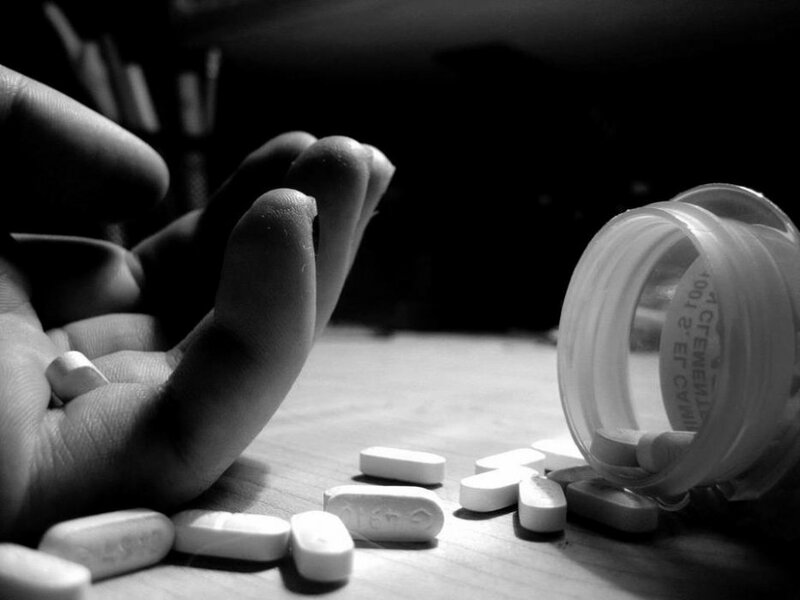 China accounts for the second highest estimated number of suicides overall in 2012, and the republic of Korea is the country with the third highest. The Western Pacific is the only region where the suicide rate is higher among women than in men, and where suicide ranks higher as a cause of death in women than it does in men. Pesticide ingestion is also of particular concern in rural agricultural areas of the Western Pacific. Suicide among young people is a worry everywhere, but particularly in countries of the Pacific. 10 September is World Suicide Prevention Day, an opportunity for individuals, organizations and governments everywhere to raise awareness of suicide, dispel the myths, break the taboos, spread information and promote action about suicide prevention around the world.